With all the warm weather we have been having its caused the formation of blue-green algae on local ponds and lakes. Do not let you dogs in water that have a blue/green colour tinge to it. Most local parks will notify you of the presence but always check your self and if in doubt don't allow them in the water. 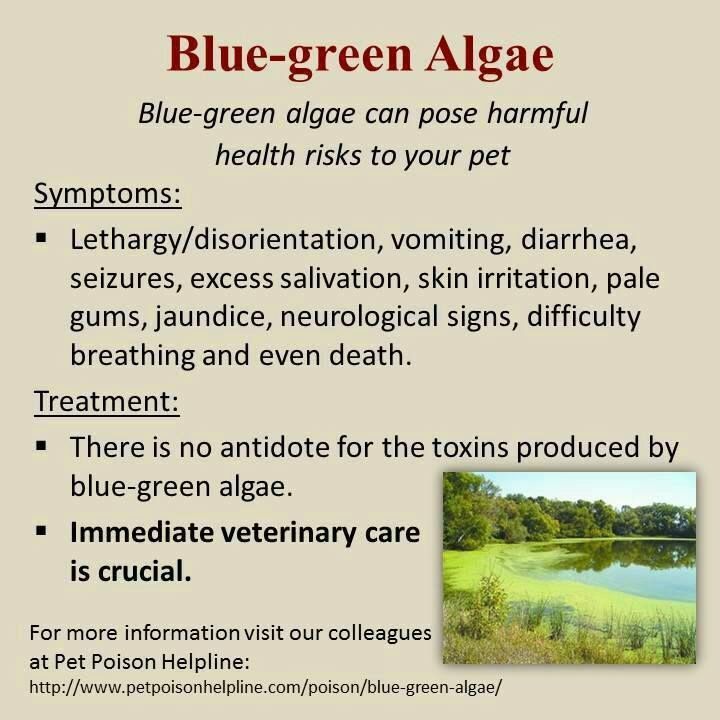 Blue-green algae can KILL your dogs .. be aware.